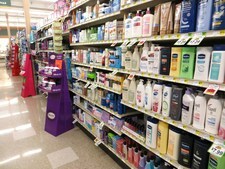 We have an entire aisle dedicated to your health and beauty care needs! We supply all your personal hygiene products from first aid, to shampoos and hair care, cold and flu, oral care products, natural and organic products, weight and health management, nail & skin care, baby care products, and so much more! If you can’t find what you’re looking for just ask a helpful associate.